If you want to improve vision naturally then go for herbal I-Lite capsules for weak eyesight that naturally work well and are suitable to men and women of any age. There are numerous reasons behind weak eyesight such as habits like watching TV too much, reading in a very dim or very bright light, working on computers whole day, sleeplessness, waking up later at night, genetic factor, etc. Moreover, if a person doesn’t follow healthy habits like eating nutritious rich foods then he is likely getting trapped into such situation where finding a permanent solution seems impossible. Many individuals opt for laser therapy to get back their sharp vision which is quite a risky process since it is not a 100% effective method and may lead to permanent blindness. 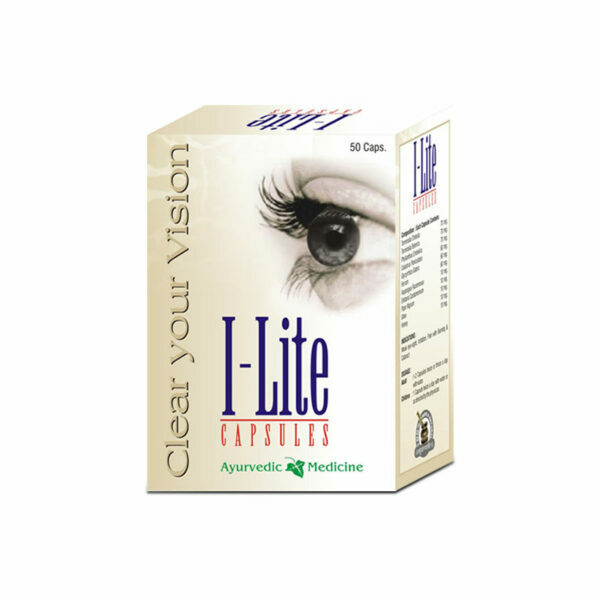 I-Lite capsules provide the best ayurvedic herbal treatment for weak eyesight since it is not a risky remedy. 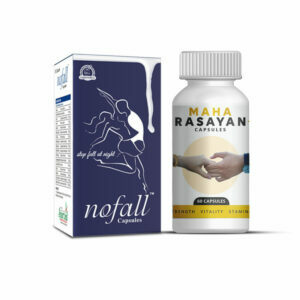 Not only those who have poor vision but also those who want to maintain their eye health for long term may also go for choosing this as a regular supplement. Herbal I-Lite capsules for weak eyesight are also capable to curb other issues like farsightedness, nearsightedness, refractive errors, astigmatism and refractive errors. Hence if you seriously want to improve vision naturally then these supplements would prove to be really efficient methods beyond one’s imagination. Do herbal I-Lite capsules cause any side effects? Since we haven’t used any artificial elements in making of I-Lite, these capsules simply cannot generate any form of side effects. Though not mandatory, you are still free to take the pills for the rest of your life without facing any consequences. These never make anyone addicted and so one does not experience the symptoms of withdrawal effect as well. How long do I need to take this ayurvedic herbal treatment for weak eyesight? You can consume herbal I-Lite capsules for weak eyesight for longer period of life but on an average it takes about 3 to 4 months (12 to 16 weeks) for a person to notice drastic changes. The capsules never harm anyone in anyway and so if you have planned to take I-Lite for the rest of your life to maintain the health of your vision then it is perfectly alright to follow that. You are free to stop the course whenever you feel like after the recommended duration, it’s all about your choice. How to consume herbal I-Lite capsules for weak eyesight? Take 1 to 2 capsules of I-Lite 2 times daily with milk or plain water so as to improve vision naturally. Be regular with the course for about at least 12 to 16 weeks (3 to 4 months). What is the preferred diet to improve vision naturally? Having foods rich in vitamin A would be an ideal choice to support the treatment. That is mainly in fruits and vegetables. If you have lack of availability then don’t worry the capsules alone can effectively accomplish their task as well. How can I buy I-Lite capsules in India and from where? Firstly, pick the quantity of your desired package from the drop down menu and click on the BUY NOW button after that. Fill up all your billing details such as name, postal address, email and contact no. Choose the most convenient mode of payment out of – cash on delivery, bank transfer (NEFT), demand draft (DD) or cheque. Finally email or SMS your bank transaction or payment information to us (only in case of advanced payment modes like DD, NEFT or cheque). The moment we receive the verification from our bank we soon dispatch the parcels to the respective destinations. We pack all the products in a discreet packaging and send them to our consumers ensuring that their privacy would be kept maintained throughout the transmission process. The customers get the delivery between three-five business days. I sit on computers more than 10 hours a day, that’s what my profession is all about. This led to dry and itchy eyes. The power of my lens also increased. Then I started taking these pills for 4 months. Along with that I also took healthy foods like Amla, carrots, etc. and did eye exercises. Today I have seen great improvement within me. The problem of irritation and dryness just vanished. What seems more miraculous is the power of my lens is also decreased to somewhat extent, i.e. from -1.5 to -1. I used to have cylindrical too, which doesn’t exist now. I had the problem of teary and watery eyes along with itching sensation. I was also facing constant headaches due to that. I consumed I-Lite capsules for around three and a half months and all my eye conditions completely vanished away. 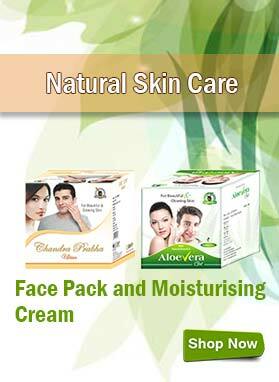 Outstanding herbal pills! My friend was having the problem of weak eyesight. Then I recommended him to take I-Lite capsules because of the popularity of these capsules and now he can feel the improvement in his vision. He is very happy with the results. The eyesight of my mother became weak due to the growing age. Then she took I-Lite capsules and now her vision has become better after consuming these capsules for just 8 weeks. She now wants to continue the intake of these capsules for a few months more to experience more improvement in her eyesight. I-Lite capsules have worked great in my sister’s case. She is also taking a healthy diet along with these capsules and her vision is getting improved day by day. She is truly thankful to the makers of these herbal pills. My friend had problem of headache and fatigue due to weak eyesight. After using I-Lite capsules, her headache and eye fatigue problem has become negligible overtime. My sister initially didn’t saw any effective results on using I-Lite capsules. But now after using these capsules for almost 3 months, her eye number has somewhat reduced. She got relief from eye fatigue also. Thank You!! I-Lite capsules proved very beneficial for me. The problem of eye strain and weak eyesight has reduced to some extent. I want to continue this treatment for few more months so I have ordered some more capsules. I use I-Lite capsules because my work is all related to computers and I have to do this job for continuous 5-6 hours. This makes my eyesight weak. But after using I-Lite capsules I feel much better and my eyesight is improved. In school I can’t see the letters written on board clearly, so my teacher suggested me to use I-Lite capsules. After consuming this eye supplement for 3 months I feel significant changes and continue using I-Lite capsules. During studies I had head ache problem due to weak eyesight then I tried I-Lite capsules regularly. These capsules are helpful for me and don’t have any side effects and strengthen my eyesight too. My friend had weak eyesight due to continuous working on computer and playing video-games. His spectacles power was increasing day by day then my uncle suggested him to use I-Lite capsules. He started this course and the changes were noticeable. When my father suggested I-Lite capsules, I was not sure that it would be effective or not. I tried it for 3 months and I must say I am happy with the result. This supplement is awesome. Thanks! My eye power is -5 in both the eyes. I hate to wear spectacles now. Because I’m addicted to it. I can’t do anything without my spects. Can this capsule reduce my power completely to zero, and can I do my work without my spectacles? If yes just tell me the method in which way I need to eat I-Lite capsules and follow it. And tell me the instructions I need to follow while taking these capsules. 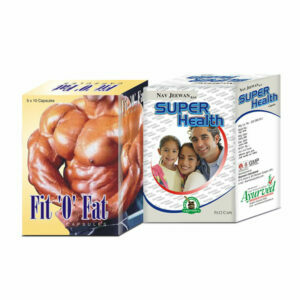 I-Lite capsules are special blend of powerful herbs that nourish entire body system and improve functioning of organs. These pills improve eye health, prevent eye strain, fatigue and poor vision problems. 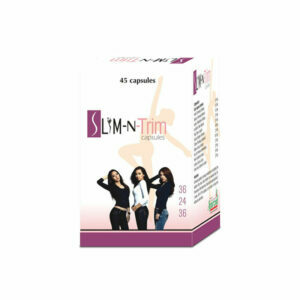 We suggest you to use these supplements regularly for 4 to 6 months to obtain good result. Take 1 or 2 capsules of I-Lite two times a day with water or milk. Include green leafy vegetables like spinach, kale, and collards. Eat salmon, tuna, and other oily fish. Also add eggs, nuts, beans, and other protein sources in your diet. Also consider including oranges and other citrus fruits or juices to your daily food intake. Take proper sleep of 7 to 8 hours, avoid too much use of mobile, TV and computer. Regular eye exercises for 5 to 10 minutes is also helpful in improving eyesight.